Badrinath is one of the most holy shrines in India in the lap of Himalaya. 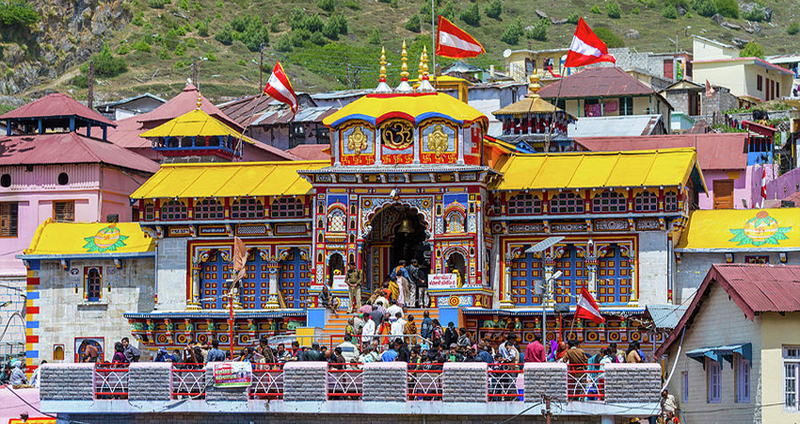 Badrinath is one of the most holy shrines in India in the lap of Himalaya. 1000s of followers come here from all over the world yearly. It was built about 2 centuries ago by the Kings of Garhwal. 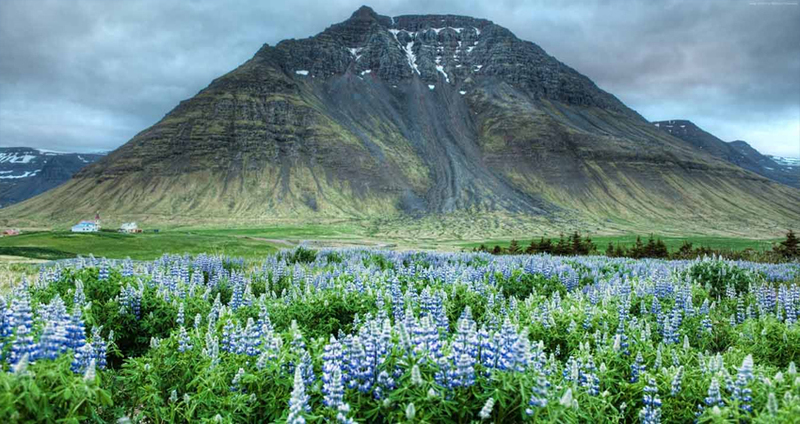 World famed Valley of Flowers is close to the shrine. 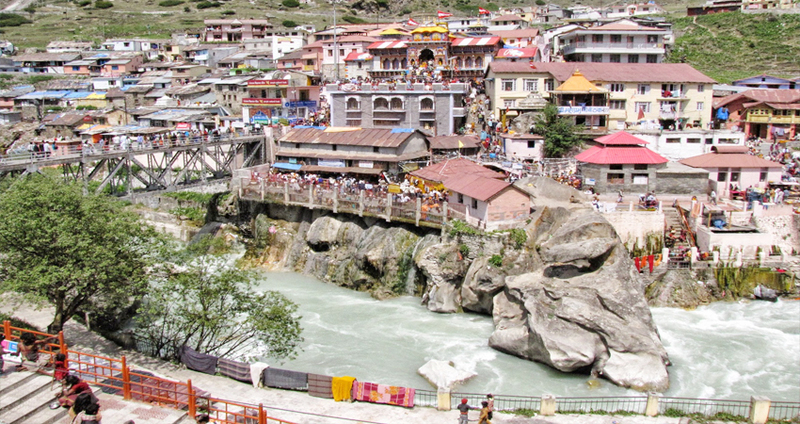 Best time to visit Badrinath is from May to June. Badrinath : Badrinath the destination of the God Vishnu in his feature of Badrinarayan is the major of the 4 Dhams in India's Char Dham pilgrimage. Positioned in the hills of Himalaya, at an elevation of 10,248 feet above sea level is tremendously well-known among the Hindus. 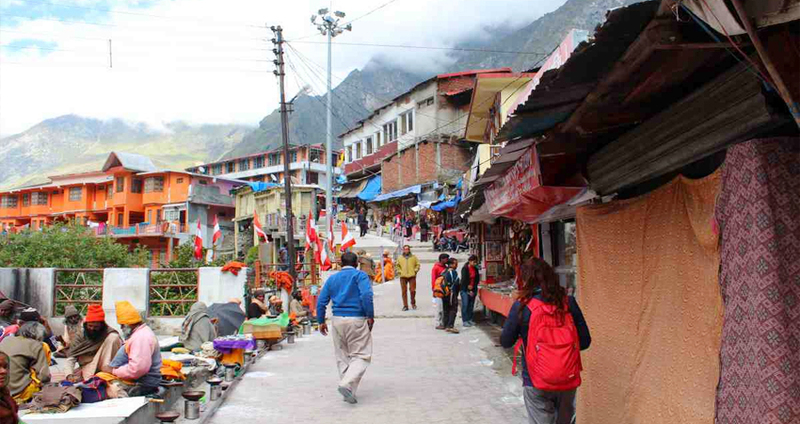 The pathway to Badrinath is one of the very demanding one owing to the haughty mountainous scenery, bends and cliffs. It is the most amazing and fine-looking place on this whole earth. 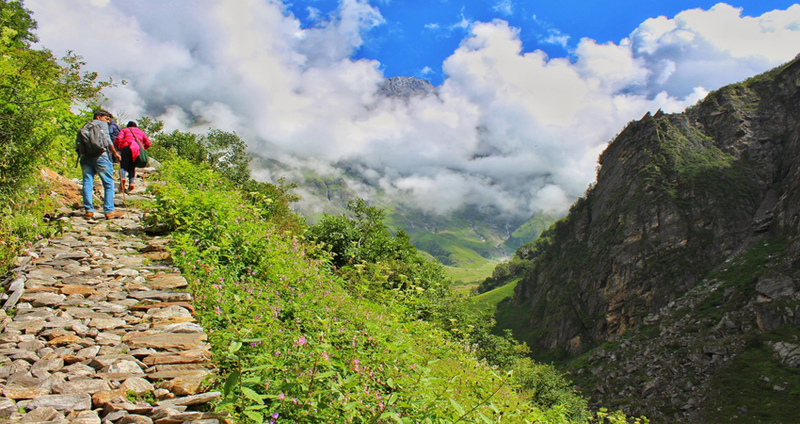 Valley of Flowers : The noticeable and amazing background of The Valley of Flowers National Park in northern state of Uttarakhand, bordered by Nepal and Tibet, is more than lively and full of life as soon as the monsoon move towards. 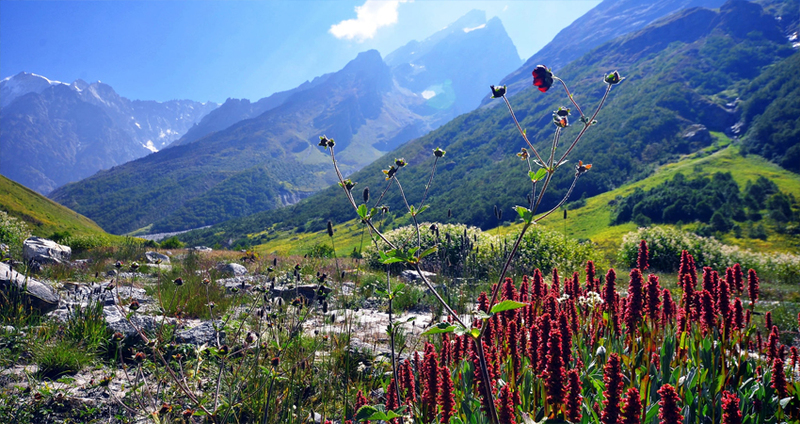 This Himalayan valley at a great height has more than 300 diverse varieties of alpine flowers, which emerge as a brilliant carpet of color besides a hilly snow covered backdrop. 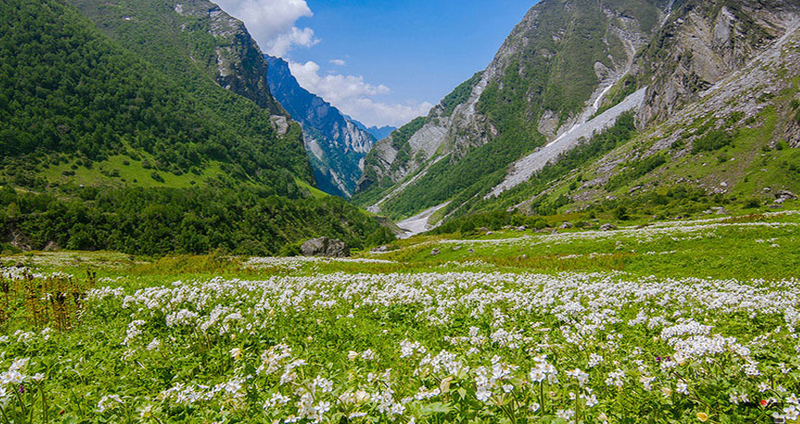 The Valley of Flowers is open to the visitors from April to October as the place is totally covered in snow the remaining part of the year. The finest time to go to this spot is from July to August, when there is a full bloom of flowers after the first rain shower. The park is stretched over 88 square kilometers that is some 55 miles, and was affirmed a national park in the year 1982. It is also confirmed as a UNESCO World Heritage Site. Enter in Delhi where our tour guide welcomes you lovingly and guides you to the coach waiting to take you on a 225 km drive to Haridwar. After enter in the sacred city of Haridwar and check into your hotel room followed by lunch and rest. In the sunset we set off on a visit to Har Ki Pauri on the banks of the Ganga for the sunset Aarti and worship at the temples. Day : 2 Haridwar to Joshimath (255kms/10hr). Daybrreak after breakfast drive to joshimath, on the way visit to Rudraprayg, Deoprayag. On arrival at joshimath, Check in Hotel for overnight stay. 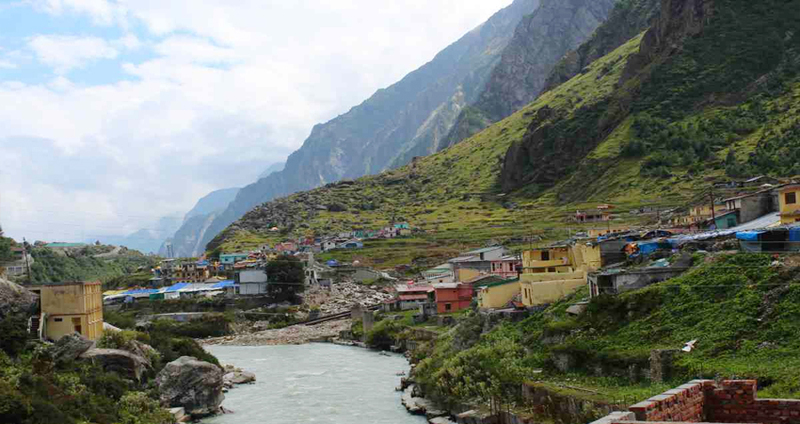 Day : 3 Joshimath to Govindghat to Ghangariya (15 km Drive / 13 km trek). Break of day after breakfasts drive to Govindghat and start 13 km trek for Ghangariya. On arrival at Ghangariya , Check in Hotel and camp. Overnight stay. Day : 4 Ghangariya to Vally of Flower to Ghangariya (10 km trek). Daybreak after breakfast start trek to Valley of flower (05 km Each Way) travel around the valley and witness the rare Himalayan flora is Brahmal kamal, Himalayan Blue Poppy and 100 other trek down to Ghanghariya. Overnight stay. Break of day after breakfast start 13 km trek Back to Govindghat and drive to Badrinath. On arrival at Badrinath, Check in Hotel / camp. Overnight stay. In the early hours of morning, pilgrims after having a bath in the Taptkund have the Darshan of Badrivishal. Brahamakamal is significant for Pinddan Shraddh of Pitrus. There are other attractions sightseeing place such as Mana, Vyas Gufa, Maatamoorti, Charanpaduka, Bhimkund and the "Mukh" of the Saraswati River. 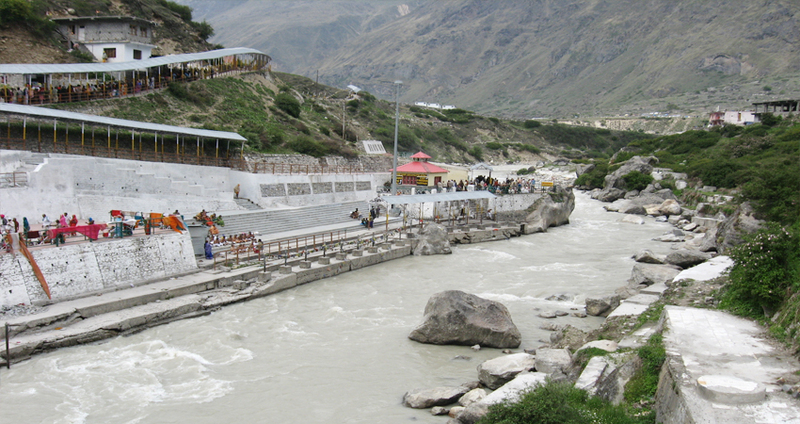 Just within the three kms of Badrinath. Later drive back to Joshimath. Check in Hotel. Overnight stay at Joshimath. Daybreak, after relax breakfast. Drive back to Rishikesh. Check in Hotel. Overnight stay. Visit to Rishikesh Local Sightseeing like Ram Jhulla, Laxman Jhulla, Triveni Ghat, Parmarth Niketan, Shivananda and Gita Kutir. After Lunch, drive to Haridwar. Check in Hotel. After Breakfast, depart to Delhi. On arrival at Delhi, drop at Railway Station/Airport.